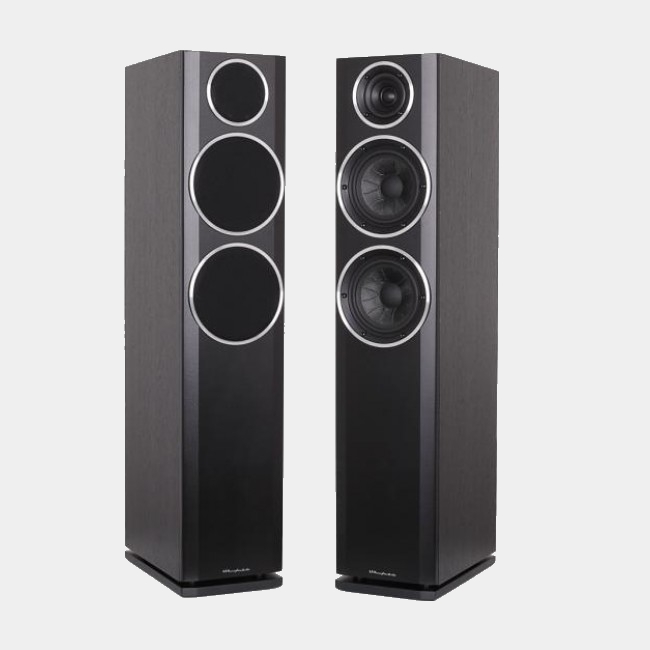 Klipsch is the most renowned brand in this lineup and the RF-7 II model will only serve to enhance this brand’s position as one of the best floor standing speaker manufacturers out there. If you would be interested in purchasing this speaker you can (see price on amazon). The RF-7 II incorporates a titanium tweeter in combination with two mammoth 10-inch woofers to deliver some serious power while handling lower frequency sounds with ease. However, it is Klipsch’s Tractrix Horn technology that really makes these speakers stand out. 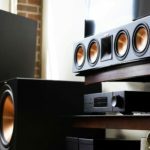 Through massively reducing distortion and increasing sound quality, the Tractrix Horn technology could well mean that the RF-7 II is the best tower speaker in this review. All this power is encased in a chic black wooden surround, giving these speakers the stylish look we associate with Klipsch. The Klipsch RF-7 II may well not be the cheapest option in this review, but the performance justifies the outlay. It is a truly marvelous speaker that is worth a serious look. When it comes to getting the biggest bang for your buck, you won’t be disappointed with the Infinity Reference 253. If it interests you, (see price on amazon). Perform a quick search online, and you’ll see numerous companies offering it at a seriously discounted price. However, low price does not mean low quality. The sound produced by this unit is fantastic, and you will be pleasantly surprised by the clear highs and the tub-thumping bass. Yes, these speakers may not be quite as powerful as some of the more pricey models in this lineup and they are certainly not as stylish as the likes of Klipsch, but if you’re shopping on a budget, this is the model for you. This eye-catching unit looks very much like a satellite dish on walnut legs. But dont be fooled, this is actually a great speaker. Detach the legs, and you have a pretty artistic statement wall hanging. Granted, its aesthetic may not appeal to everyone. However, it’s when the Beoplay A9 roars into action, and you experience its power first hand that you will get really excited. When it comes to sound performance, the Beoplay A9 is a great all-round player when it comes to floor standing speakers in 2018. It incorporates two mid-range speakers, a reflex-system connected bass speaker (8 inch) and two tweeters, which, in combination, deliver awesome sound that is ideally suited to the deep tones of jazz and classical music. With its Wi-Fi connectivity, you can tune into your iPad and start streaming Spotify in a matter of minutes. It’s a sleek performer that incorporates a few additional minor touches that help it stand out from the crowd. For example, you can modify the volume simply by running your hand over the top of the unit. Smooth! This is one of my all time favorite floorstanding speakers, especially at this price. If you’re shopping for a speaker on a budget, you won’t fail to be lured by the Yamaha NS-F210BL, and the affordability of these speakers makes them serious contenders in this lineup of floor standing speakers. It’s the use of aluminum in these units that is responsible for their crisp sound. Granted, they are not the best looking speaker, but what they lack in aesthetic appeal they more than make up for in serious sound quality. If you’re looking for some decent speakers to pair with your TV system, these are the guys for you. However, to get the most out of them, you will need to link them with the Yamaha NS-SW300 sub because their undersized drivers mean they are unable to produce big bass notes. In the majority of cases, this won’t be an issue. However, if its massive bass you’re after, these are not the units for you. These are the ideal speakers for those of us who are living in apartments and small spaces. Their thin profile means they can fit into even the most cramped rooms. You wouldn’t normally expect a $100 unit to feature in a lineup of the best floor standing speakers, but the Pioneer SP-FS52-LR is definitely worth a mention. Don’t mistake low price for lack of hardware. These speakers incorporate three woofers, one more than the majority of the units featured in this review, and a 1-inch tweeter that delivers great treble. 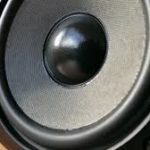 They are by no means the speakers of choice if you’re looking to blast out music at high volumes; however, they are ideal for connecting to your home TV system for enjoying high-quality sound. For a stand alone speaker I am very impressed with this speaker, out of the tower speakers I have reviewed in 2018 this is one of the slickest. Check out the price and you might not be able to resist when you're in the audio shop. All in all, an affordable unit from a reputable brand. If you’re on a budget, you can’t go wrong with these guys. This truly one of the editor's choice. If you're enjoying the read you might be interested in our page on Floorstanding speakers under $5000. Generally speaking the tower speakers on this page are under $1000 but you can find our section on under $500 here. JBL has earned a solid reputation for producing speakers (especially floorstanding speakers) and is the name the majority of us associate with the massive professional speakers found in large-scale entertainment venues. However, the aesthetic of the 580 proves that JBL is also a serious contender in the home speaker range too. Like their industrial counterparts, the Studio 580 produce big, brash sound that may take some tweaking to fit your set up. They are also not ideally suited to small rooms; think large home theater room to get the most out of these beauties of speakers. While the 580’s low-frequency 8-inch transducers pack a punch, you should consider taking the bass to the next level by investing in an additional sub. Another mid-range offering that is worth checking out is the Q Acoustics 3050, a great looking unit that packs a great punch when it comes to sound quality. Don’t be put off if Q Acoustics isn’t a brand you’re familiar with. They have actually delivered some exceptional units, and the 3050 is no exception. It incorporates an exceptional range of components that deliver great clarity with no noticeable distortion to its sound system. However, perhaps the most appealing things about this particular option is that these speakers come in pairs, giving you serious bang for your buck. The JBL L880 is somewhat of a rare find in that it is a speaker that is focused on high frequency. Featuring two tweeters, one of which is an ultra-high-frequency transducer that incorporates an aluminum chassis, it delivers accurate, crisp sound, even when you’re pumping out some serious volume. From an aesthetic perspective, the JBL L880 is not quite as classy as some of the other options on this list; however, it's a great unit for the price and certainly worth serious consideration. Yes, Klipsch has three offerings on this list, but deservedly so. No list of freestanding speakers would be complete with including something from their Reference series, a range that many people consider to be a basic requirement for a quality home entertainment system set up. The Reference offers exceptionally clear and crisp sound quality that is accentuated by the two copper-spun 8” woofers, making them a great all-rounder. While the sound may not quite match up to that delivered by Klipsch’s more pricey models and you may experience minor distortion when pumping music out loud, these are a great choice for the price point. Pair them with a Klipsch subwoofer to take them to the next level. We’ll cut straight to the chase here: If you really want to get the most out of the Debut F6 speakers, they are best integrated with other models in ELAC’s range. However, that’s not to say they are not worth considering as a standalone unit. The F6 produces a fantastic tonal range in a great-looking unit. As far as mid-range speakers go, they are certainly worth checking out. Before making your final selection I think its important to find the right one for you and your living space. So what I have done is looked at each price range and then made a short list of the best quality ones in that range. 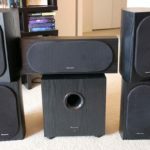 I experimented with them and then selected what I believe is the best speaker in that price range and then reviewed it for you. My aim here is to easily allow you to view the best speaker in your price range immediately. I know when I'm going to buy a product and there is a wide range of selection on top of a wide price range I really want someone who knows the industry to advise me, and that is what I have aimed to do here. 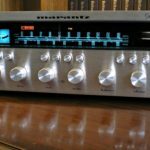 As well as that I know some people will be purchasing a speaker as a present for a friend or loved one and they want to make sure they get a high quality one and don't overpay for a low quality speaker, and for that reason they would like to visit a website like this one to get pointed in the right direction. I hope you enjoy my reviews and any feed back please feel free to contact me using the contact form. Are you in search of the best ﻿tower speaker﻿? I do consider myself an audiophile. I can appreciate the qualities of a bookshelf speaker as well as center-channel ones. But I have to admit nothing quite beats the quintessential joy of listening to good music or watching a movie especially when the sound is booming from a tower speaker. They deliver a swarm of sound effects that immerses you right in the center of the experience. This is a great post we made on what the main factors are. People are increasingly discovering the advantages of tower speakers, and as expected, this has opened a gateway for more manufacturers to try their luck in this craft. What’s the result you ask? Subpar products lacking the requisite features to be dubbed the best tower speakers are hyped up to deceive you into purchasing the wrong kind of tower speaker. It’s for this reason that it’s key to read my review so that you won’t fall prey to misleading marketing gimmicks. One thing you should note is your manufacturer, many of these brands are huge electronic names so you will be able to identify them straight away and purchase them in the usual places like ebay and amazon. These are the largest stores in the world and you can get great deals, they also provide the specs so you know exactly what you're getting which is important. Most of the speakers you will find in our reviews are under 1000. Make sure you shop around to find the right seller for you. If you're not looking to spend a fortune, a polk speaker under 500 is always a good choice so it can always be your go to. If you're looking for the editors choice you will find that at the top of the page in the reviews section. Keep reading to ensure you know exactly what to look for when buying your floor standing speaker in 2018. What is a tower speaker? This is 3-4 feet tall speaker with a footprint of at least 1 square foot, cased in a cabinet and does not require any stand to be propped up. It is engineered with an elegant focal point for a home theater system as it offers multi-driver settings featuring bass, midrange and high- end sounds. The mechanics of sound production is the same as all other speakers but with a couple of tweaks to provide better quality. The cabinet houses three main components; a cone, a permanent magnet, and a coil that sits in between the two. The coil is a mobile electromagnet which creates a magnetic field when an electric current runs through it. Unlike regular magnets, the coil can reverse the direction of the current. This, in turn, results in it vibrating back and forth due to attraction and repulsion by the permanent magnet. An audio sound will be produced by the vibrations and will consequently be amplified by the cone. The pitch of the sound produced is governed by the frequency of vibrations whereas the volume is affected by their amplitude. A good set of drivers should cater for a big chunk of what the human ear can listen to, which ranges from 20Hz to 20 kHz. As a general rule, larger drivers are better served to produce quality low-frequency sounds. The same applies for smaller drivers offering better high-pitched sounds. The working principle is that higher ranges have shorter sound waves and as a result, their drivers can be smaller. For this reason, if you’re hoping for quality bass, it is better to have one large driver than multiple smaller ones. As a result of the large sound range, four different types of drivers are available. Woofers- If you’re scratching your head wondering where you’ve had this word before, you probably own or hang around the domestic canine species. The name originates from the deep heavy sound dogs make when barking; “woof woof.” Pretty cool don’t you think? These drivers are suited for low-frequency sounds ranging from 40 to 1000Hz. 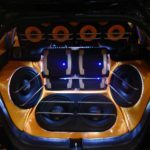 Subwoofers- The main difference between this driver and woofers is that it focuses on a rather small audio range of 20 to 200 Hz. Albeit this, is still low pitched sound, it is usually hard to produce good quality sounds for this range of frequency. Subwoofers adjust for this by moving large amounts of air at a high pressure and slow speed to transmit very low-end sounds without volume loss or compromising on sound quality. Midrange drivers- This set reproduces sound that falls within the frequency range of 250 to 2000 Hz. It is also referred to as squawker. It carries the most fundamental audible sounds as not only do most music instruments fit here, the human voice also fall within this range. The sound quality is dependent on the material it’s made from. The three top types are cone, dome, and horn. Of the three, cone is most popular, but horns offer the best quality. They are often used in professional concerts. Tweeters – Have you ever heard a bird chirp? If so, you’ll agree that the high-pitched sound produced echoes like they are saying “tweet tweet.” These small drivers derive their name from this high-end bird squeaks. They produce sounds of the range 2 kHz to 30 kHz. This is well past the upper sound limit of human hearing. Some special tweeters may deliver a sound frequency of up to 100 kHz. Buddy if you looking to bust your eardrums, set it on full blast. Just like midrange drivers, tweeters are varied by what they are made from. Here’s a rundown of the most relevant ones. These are the longest serving tweeters. They have outlasted their usefulness in modern hi-fi as the sound may come out distorted especially with paper cones. Are often seen in car stereos. The new audio era saw these drivers succeeding cone tweeters. On top of the superior sound range, they have a greater sound dispersion. Most professionals prefer this kind of compression drivers. Not only do they keep distortion at a bare minimum, the sound emitted has a better dynamic range as well as clarity. The best of the best tower speakers have this kind of tweeter. Now that you have a basic knowledge of drivers understanding the different types of settings will be a walk in the park. The configuration of a speaker is solely dependent on the number and type of drivers it contains. Two-way speaker- This make use of both woofers for low-end sounds and tweeters for high trebles. The mid range drivers are lacking and as such the two available drivers have to cover this sound range. The result is weak mid sounds. Three-way speaker- Yeap, you guessed right, these speakers have mid range drivers to back up the tweeters and woofers. This will provide a significantly greater variety when it comes to a high-fidelity audio experience. The mids lows and highs will all be emitted with top of the line detail and clarity as each driver will solely focus on carrying its frequency load. This is the bare minimum a speaker should have to warrant the name best tower speaker. Four-way speaker- There is the great home theater audio experience and then there’s top of the line acoustic cinematic feel. Guess which of these four way speakers fall under? Let me give you a hint: in addition to woofers, midrange drivers and tweeters it has super tweeters (gasp). Wondering what’s so great about super tweeters? Well, they are super duper awesome in relaying intricate upper limit shrills to a tee. It comes as no surprise that any speaker boasting of this has to be the best in the business. Picture yourself coming home to a stunning speaker enclosed in a beautiful custom-designed cabinet with hand finished wood veneers priding itself with fantastic gloss finishes with sensual curves. I don’t know about you, but the sight of this would make my day. And I kid you not; such cabinets do exist! I think it's high time you upgraded from the eyesore you call a cabinet and here’s how to go about it. Not only should it be attractive it should be well built with anti-resonant capabilities. This can only be achieved if it’s strong enough and does not pulsate when the drivers vibrate as this lead to sound distortion. The cabinets footing type is also important. It should marry well with your floors. For carpeted floors, invest in carpet spikes that will hold the speaker in place whereas for hardwood floors look for padded or rubber feet. Most folks prefer a bigger speaker because it will emit louder sounds. The scaled raised dimension will enable more frequency definition according to you with a greater sound clarity. Now that said I have to state louder doesn’t necessarily translate to better quality, though it may fool you to think so. The size is directly related to volume and not quality. I will not ask you to buy the biggest speaker in the store but rather choose a size that will fit perfectly in the space you have carved out for it. Ideally, the room should have soft materials that will add to the acoustic quality of the speaker. They tend to absorb and dampen sound while harder materials will reflect sound waves resulting in sound distortion and volume increase. It will be better served in a room full of carpeting as opposed to hardwood, linoleum or plaster. This is the sound range that a speaker can successfully produce. A wider audio range is preferred as it will emit all the trebles mids and lows. A speaker only qualifies to become the best if it covers the entire spectrum of human hearing. This refers to how capable a speaker can convert electrical signals to audio. I would urge you to purchase a speaker boasting of a high sensitivity of above 91 decibels. 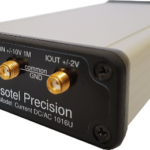 This translates to it producing better quality while requiring less power. Not many people realize this, but your speaker will last longer if it produces better sound quality. This is a speaker’s resistance to an electric current and is measured in ohms. It comes in handy when it’s being paired with an amplifier. Sending too much power will blow up your speaker while sending less will damage both the amp and the speaker. Be sure to match your speaker’s impedance to your amp. Go for those with gold-plated binding posts since they aid in transferring electric current to your speaker from your amp. This will result in a better signal and consequently lead to better sound quality. To be on the safe side, I would ask you to purchase brands that are trusted by most audio professionals such as DJ’s. Yamaha and Klipsch seem to have won the hearts of many. That said it’s important to note that most manufacturers have a good, better and best series. Be vigilant to know what exactly sets apart one from the other. Maybe the best series has only improved on the price tag (wink) and not on the quality of sound. Also, compare the different series of various brands. The good series of manufacturer X may have better features than the best series of manufacturer Y. What are the benefits of tower speakers? 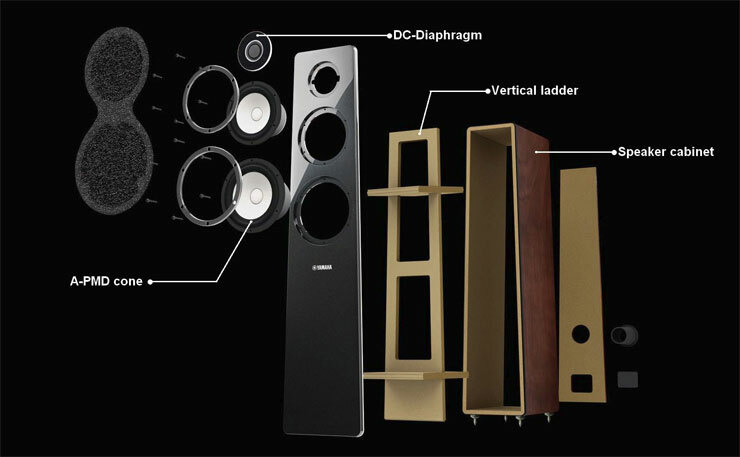 • People are drawn to it as they have a lot more cabinet volume compared to others especially bookshelf speakers. • Their design is much more compact than regular bookshelf speakers. This makes them space friendly and can be accommodated according to your preferences. An added perk is various styles they are available in. • The sensitivity rating of these speakers is higher placed and in turn it results in better sound quality with less power usage. • They are also known to have the most accurate sound reproduction. 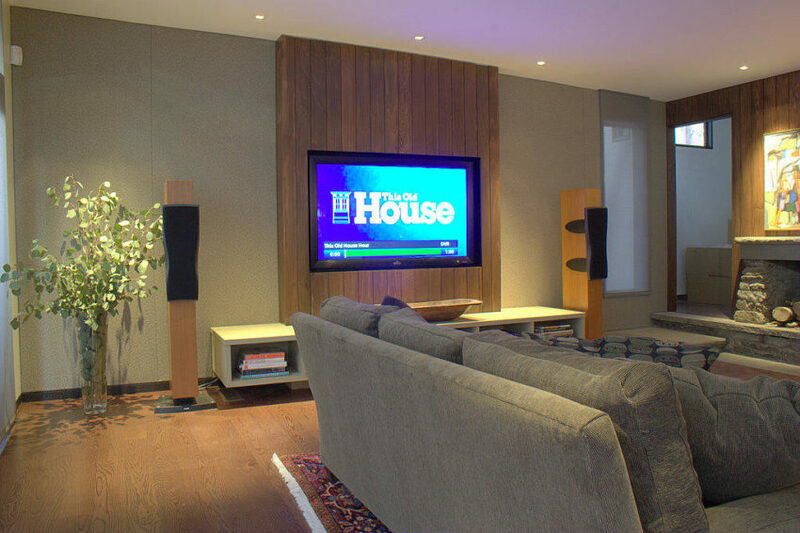 This is attributed to its custom cabinet and speaker box that not only enhances but also compliments acoustics. • Most tower speakers have a three-way configuration with a tweeter, midrange driver and a woofer. This means no sound gets lost as all ranges are covered. I can dub any single speaker ‘the best tower speaker’ since what works for me may not necessarily work for you. I am confident that after reading this review you are better equipped choosing a speaker whose value matches the price if not supersede it. Happy shopping! Visit our homepage to see all the reviews we do.